Use to quickly and easily check modular jacks and phone wiring for single and dual line phones. 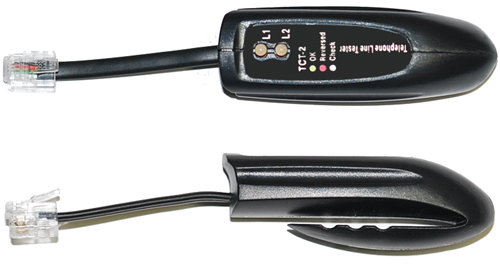 Built in clip easily attaches tester to clothes or belt. This handy device simplifies installation and troubleshoots possible problems with your modular phone jack and phone line connection, so you dont have to pay for expensive telephone company service calls.